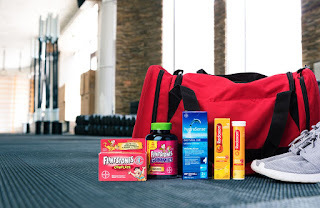 So this year I decided to make a Holiday action plan with products on hand to help out if the colds arrive and to help keep us as healthy as we can in the hopes of not getting anything..
• Why not beat the winter exercise slump with a new workout tailored to the colder temperatures? If you’re someone who typically gets active outside, try an indoor activity like aqua aerobics, indoor rock climbing or an indoor group exercise class. Challenge yourself to find one new workout a month, or list your top three and cross them off once you’ve given them a try! • Don’t be too hard on yourself if a cold temporarily puts a wrench in your workout goals. Just make sure you get back on track once you’re rested and recuperated. If lingering nasal congestion is an obstacle, try a nasal saline-spray to clear your sinuses. hydraSense® Daily Nasal Care products are100% naturally-sourced seawater that is clinically proven to reduce and relieve your nasal cold symptoms. hydraSense® Daily Nasal Care products can be used alongside your other oral cough and cold medications. • Ok, this one should be on everyone’s list this winter! Farmers’ markets and apple picking orchards may be closed, but that’s no excuse to cut back on those l vitamin-packed fruits. Eating a variety of fruits is fun, so why not challenge yourself to eat the rainbow? • Frozen fruits are an easy-option if you struggle to keep fresh in the house, but make sure to check for added sugars. While it’s easy to track your own fruit intake, it can be harder with kids. Not sure if your little ones are finishing their apples and getting their vitamins? 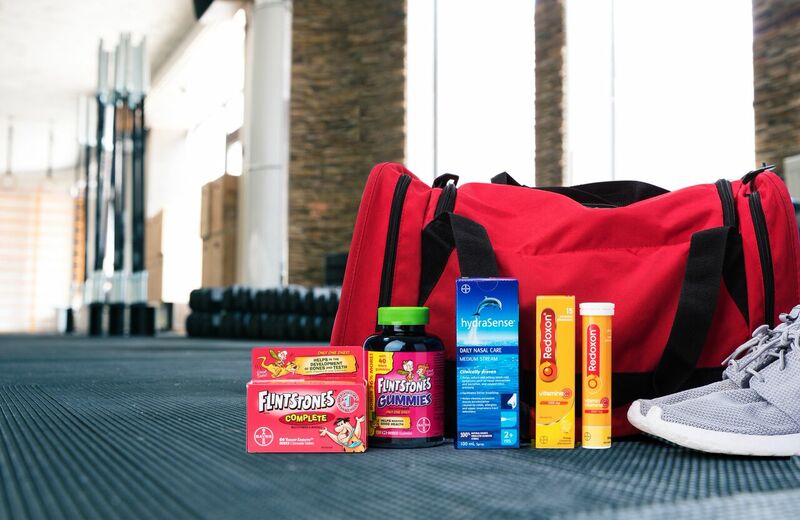 Try supplementing with FLINTSTONES® multivitamins. You’ll love that they’re the #1 brand choice of pediatricians. They’ll love that they come in delicious chewables or gummies! • You know water is important, but it can be harder to remember in the winter when you’re not feeling hot and sweaty. There are many great apps out there these days to help you log your water intake. If you’re looking for something with a fun twist, try Plant Nanny. When you drink water, you help an adorable plant friend grow! • Don’t let this one drop when you’re not feeling well. Getting enough liquids is especially important when you’re sick. Try adding a vitamin-C tablet to your water. Redoxon® Tablets give you ten oranges worth of Vitamin C*, which should motivate anyone to drink up! • Bedtimes aren’t just for kids. The best way to get your sleep back on schedule is to pick a consistent time to hit the pillow. Write it down so you can track how often you’re making it to bed on-time. If you’re consistently going to bed too late, think critically about what’s making you miss the mark. • One of the major bedtime derailers is your cellphone, so limit screen time one hour before sleep. We would love to see what spin you put on this theme and are excited to see what you come up with! - Please remember not to mention any competitor brands in your post. - FLINTSTONES® is the # 1 brand choice of pediatricians. - Flintstones have a full range of formulas to help meet the vitamins and/or minerals needs of your child. 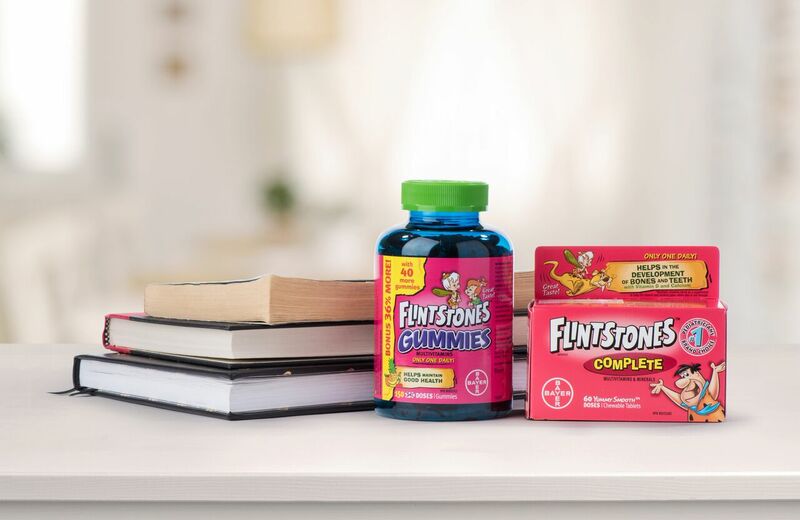 Flintstones Complete helps in the development of bones and teeth with Vitamin D and Calcium; Flintstones Gummies are for children who sometimes don’t eat a balanced diet and who enjoy the gummy format of vitamins. - Multiple vitamin and mineral supplements can serve as a supplement to help fill vitamin and mineral gaps when diet is not enough. - Please avoid saying that hydraSense® is natural—it is naturally-sourced—and please also avoid saying it is a preventative measure. * Redoxon® is not meant to replace food. † When diet is not enough.